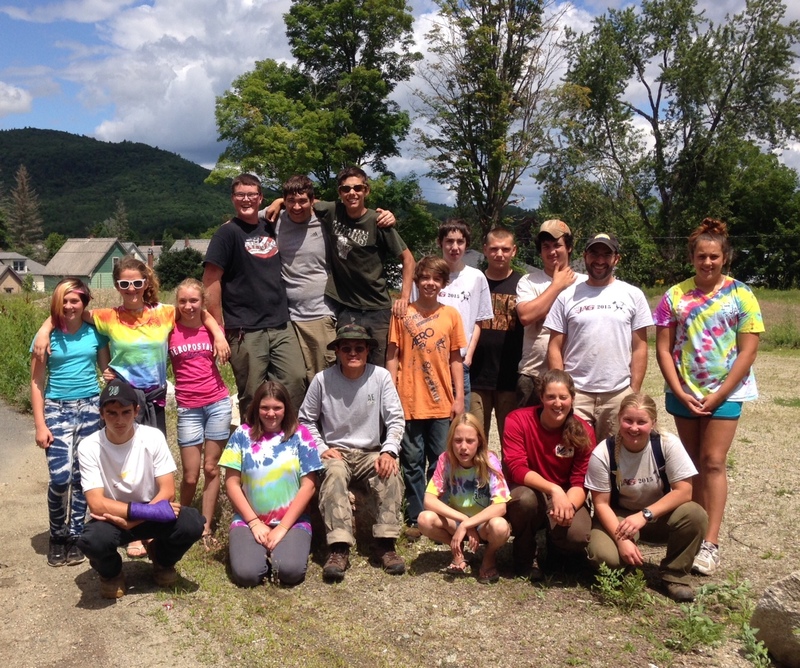 This week concluded our work with the Woodsville High School JAG students. Last week we introduced our crew to rock work in preparation for the massive, beautiful staircase we hoped to build this week. After just three and a half days of work, our crew came through; the finished project was indeed beautiful and even more massive than expected. As we left the trail on Thursday, we walked down 40 fresh new steps and along 30 feet of newly side-hilled trail. Our staircase is the first structure installed on the Lone Oak Trail on Mount Gardner in Bath, NH (which leads to a beautiful view that you should check out!). The land through which the trail meanders is conserved by the Upper Valley Land Trust and it is one of their steepest trails. The steepness of the Lone Oak Trail ensures plenty of projects for future JAG trail crews in the fight against erosion. 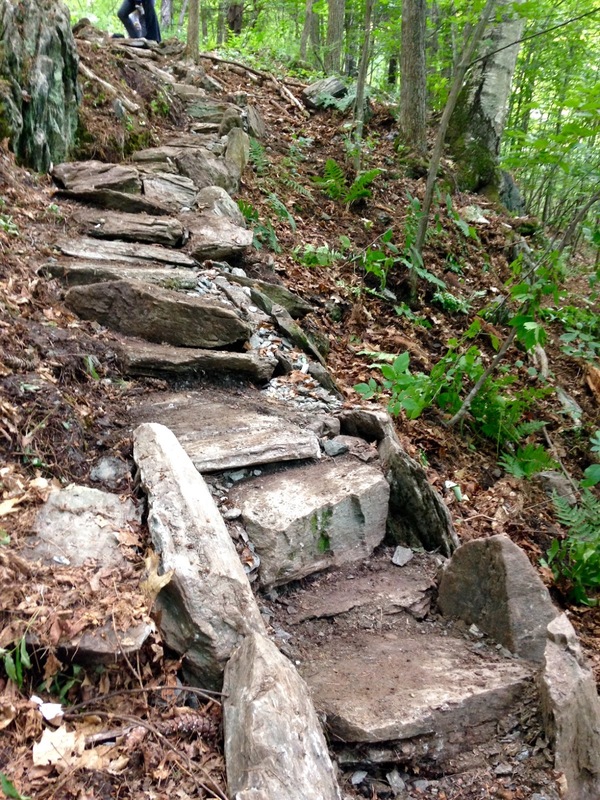 In the years to come, the trail will need many more stairs and some sections may need to be rerouted to more moderate grades. Building a staircase is no small task and our crew had a lot to learn at the beginning of the week. On their final day of work they had the opportunity to teach what they had learned to six JAG students from Laconia Middle School, who visited for the day. 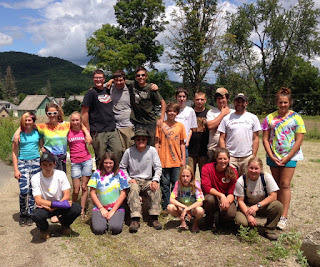 The Laconia students had themselves been doing some maintenance on a trail near their school and were excited to work with a more experienced crew. We closed our three weeks of work with Woodsville JAG with a barbeque back at the high school (with Mt. Gardner in the background!). Next week we look forward to commencing work with Berlin High School JAG students. We’ll be sure to post some updates as we install stone steps, bridges, and turnpikes in the Berlin area.